TREATMENTS: Anti-ageing, Firming. 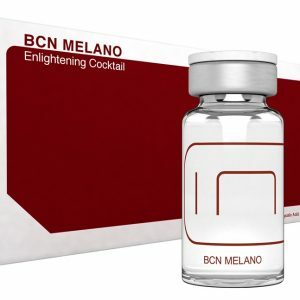 This cocktail acts on the extracellular matrix strengthening the tissue and tightening the skin on face and body. 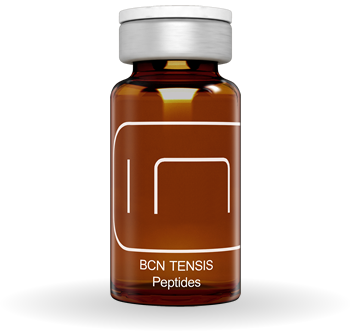 The formula of BCN Tensis-Peptides strengthens and tights the skin on face and body. 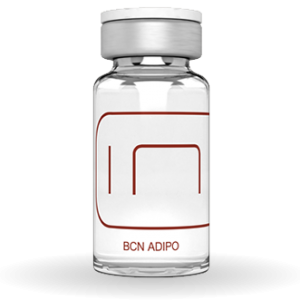 Different classic actives, at the same time, with new age peptides synergize together to act over all elements of the extracellular matrix, cell adhesion, dermal-epidermal junction and muscle tone. Hyaluronic Acid, Vitamins, Minerals, Amino acids etc. take care of the overall skin health with their revitalizing and further anti-ageing properties. Useful to fight against: Sagging skin, elasticity loss, firming treatments. It increases the skin’s collagen levels. 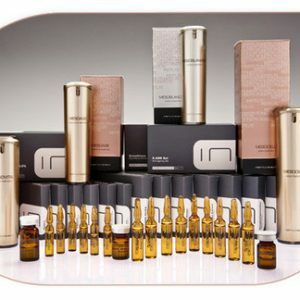 It mimics the proteins responsible for organization of the collagen fibres through control of their size and uniformity. It provides an overall firming effect to the skin. It improves muscle tone giving it vitality and energy. It includes a potential anti-inflammatory effect. 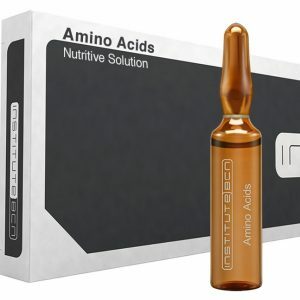 It activates the cell’s regenerative functions. It reduces tissue destructuration, the ageing process and wrinkles. It provides a moisturizing effect by increasing hydration levels. It improves stretch marks and scars through the formation of new skin cells. It protects and repairs damaged skin. Buttermilk protein or MPC-Milk Peptide Complex. These are polypeptides with biological activity obtained from the milk: the cytokines or regulating molecules, stabilized in the physiological medium of other functional components of the milk: the lactoglobulin, lactoferrin, lactose, lactates, etc. Fibroblasts are a type of connective tissue cell. They synthesize the collagen and the glycosaminoglycans of the extracellular matrix and when their number and activity reduces because of age, the production of molecules which form the ECM also diminishes. The complex of milk peptides activates the fibroblasts through cell signalling. They bring to the skin the principal cytokine of this process: the transforming growth factor, TGF-β in its active form. 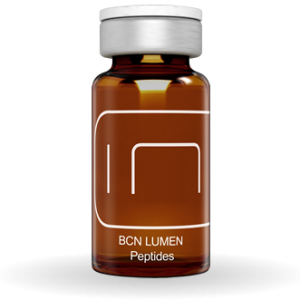 These cytokines send inhibitory or stimulating signals to the cells to activate the cell response that results in restoring a physiologically balanced skin. 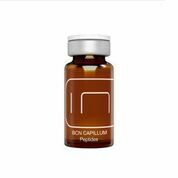 The peptides in the MPC act by stimulating and increasing synthesis of collagen I, hyaluronic acid and fibronectin, thus leading to a reorganization of the extracellular matrix. The result is restoration of the skin’s functions in order to keep it young and healthy. The amino acids contained in the buttermilk protein help to preserve the elasticity and firmness of the skin. Oligopeptide-24 or CG-EDP3, a mixture of palmitic acid which is important in modulating the expression of growth factors, such as EGF, or epidermal growth factor, as it interacts with its receptor and increases its expression, as well as the proliferation, migration and survival of the skin cells and the expression of the components of the extracellular matrix (collagen, elastin, hyaluronic acid). It also helps to generate new young cells. Its application provides a lifting and firming effect as well as a more even skin tone and scars are minimized. It has a powerful, general anti-ageing effect. Moreover, it increases aquaporin 3 (AQP3), a protein which is expressed principally in the plasma membrane of the keratinocytes or cells which are most abundant on the epidermis and it mediates water transport. 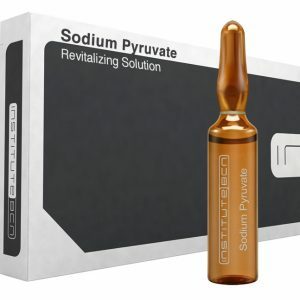 Its function is to allow the passage of water and other small solutes, such as glycerol and urea, through the plasma membrane, playing a key role in keeping the epidermis hydrated, accelerating wound healing and skin elasticity. Palmitoyl tripeptide-28 mimics the natural regeneration mechanism of the extracellular matrix. On the one hand it stimulates protein synthesis and the production of inhibitors of metalloproteinases which destroy the EMC collagen. On the other hand, it stimulates the gene expression of the EMC fibres by binding to the TFG-β II specific receptor on the cell surface provoking a phosphorylation cascade. It increases synthesis of type I and type III collagen. It also induces integrin synthesis, integrin being a superfamily of glycoproteins present in high concentrations on the cell surface and which play an important role in the union of cells with the extracellular matrix and in cell-cell union. 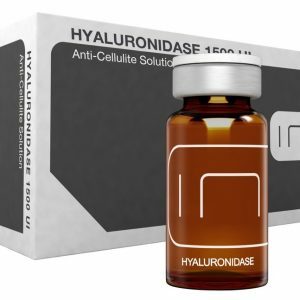 With hyaluronic acid, it provides a Botox effect and prevents from flaccidity. Palmitoyl tripeptide-38, is a peptide which mimics matrikins, cytokines originating from the extracellular matrix which derive from proteolysis of the ECM proteins. 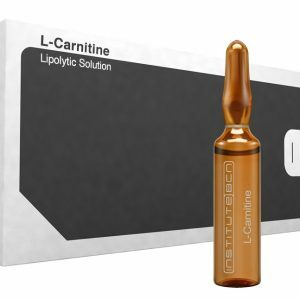 On the one hand, they provide structural material by stimulating synthesis of the 6 principal molecules of the EMC: collagen I, III and IV, fibronectin, hyaluronic acid and laminin. On the other hand, it stimulates the dermal matrix and the dermoepidermal junction. The result is a rejuvenating lifting effect of the skin in addition to the redensification and amelioration of skin rugosity due to improvement to the dermoepidermal junction. Palmitoyl tripeptide-5, a peptide with an amino acid sequence similar to the activating sequence of STP-1, a protein called thrombospondin-1 which activates the latent but biologically active form of TGF-β, which in turn, is a key element in collagen synthesis. It therefore, triggers the process as if it were a natural molecule of the organism, so generating more collagen. As it is a peptide with a short amino acid sequence, this also gives it great penetration power: it crosses the epidermis and reaches the dermis where it stimulates collagen production and the proliferation of healthy tissue. It also has the capacity to prevent toxins from entering the skin cells through a mechanism which eliminates or deactivates them. For this reason, it significantly has a firming and hydrating action on the skin. 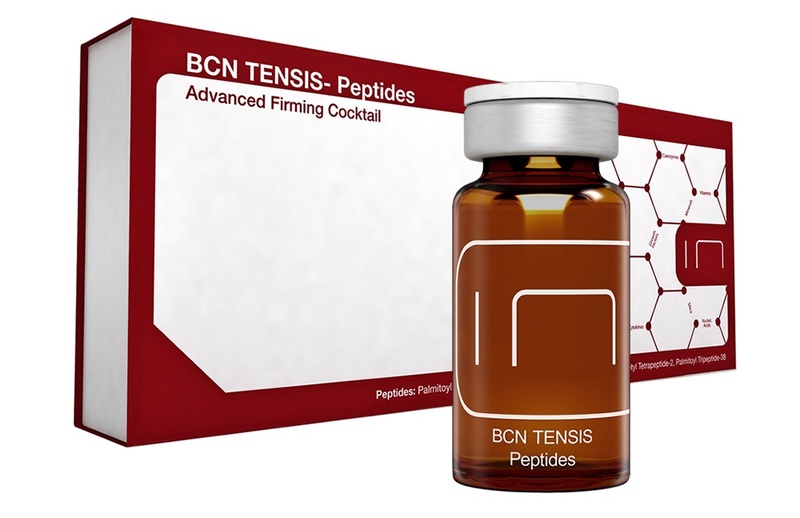 Acetyl tetrapeptide-2, a peptide which combats flaccidity by stimulating fundamental elements such as collagen and elastin, as well as proteins such as fibulin-5 (FBLN5) and lysyl oxidase homolog 1 (LOXL1) which are important for the assembly of functional elastin. It also contributes to skin firmness, by overexpressing the genes involved in cellular cohesion due to focal adhesions (interface between the actin cytoskeleton and the extracellular matrix. It therefore enhances the skin’s elasticity and firmness and helps to restore skin integrity by increasing its elastic resistance to traction. 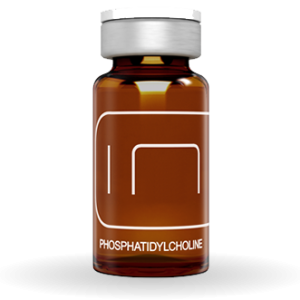 DMAE (dimethylethanolamine), a substance which is able to increase the concentration of acetylcholine, the neurotransmitter responsible for muscular contraction and consequently, muscle tone. Levels of acetylcholine decrease with age. This active ingredient acts on the muscle fibres making them firmer and more toned. It is effective in combatting flaccidity and has an immediate lifting effect. 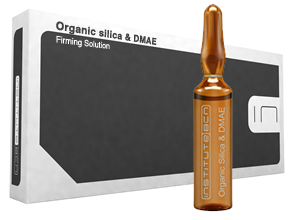 The DMAE is also a powerful antioxidant which eliminates the free radicals produced in the skin cells and which are harmful at a molecular level, so that it is one of the components which actively fights against the signs of premature skin aging. Organic silicon, is a complex molecule called methylsilanol mannuronate, which when it comes into contact with the skin separates into two parts leaving the silicon free to take effect. It restructures the dermis, as it forms part of the connective tissue structure, in such a way that it enters and fills the small depressions in the skin (wrinkles, scars, stretch marks). Collagen is a fibrous protein which is found in the fibres of the skin, tendons, bones, cartilage and other connective tissue. It improves skin elasticity and reduces wrinkles and fine lines. Hyaluronic acid is a type of polysaccharide which is found in the dermis, the deep layers of the skin. It is distributed through the connective and epithelial tissue. Its main function is to regulate and repair cell growth which reverses filling and moisturizing skin. The vitamins, minerals, amino acids and other components of the product act in a complementary way contributing to the overall revitalizing and anti-ageing effect of the product. La formulación de esta avanzada combinación de principios activos refuerza y tensa la piel de la cara y el cuerpo. Los péptidos de nueva generación actúan de forma sinérgica con los diferentes principios activos clásicos sobre todos los elementos de la matriz extracelular (MEC), su síntesis y degradación, contractilidad, adherencia celular, la unión dermis – epidermis y el tono muscular. El ácido hialurónico, las vitaminas, minerales, aminoácidos y el resto de los componentes del preparado cuidan la salud de la piel en su conjunto con sus acciones revitalizantes y demás propiedades antienvejecimiento. BCN Tensis – Peptides combate la flacidez y la pérdida de elasticidad a la vez que proporciona una acción reafirmante. Esta combinación de principios activos actúa sobre la matriz extracelular, reforzando el tejido y tensando la piel de la cara y el cuerpo. 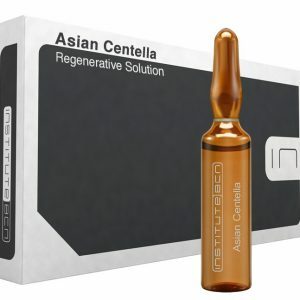 Su acción se centra en restaurar la firmeza y proporcionar juventud y luz al cutis. EReduce y previene las arrugas con la generación de nuevas células de la piel. Refuerza elasticidad de la piel mediante la inducción de la síntesis de colágeno, elastina y una nueva matriz extracelular (MEC). Hidrata la piel seca y ayuda a mantener el equilibrio óptimo de humedad. Aumenta de los niveles de colágeno de la piel. Protege y repara la piel dañada. Proteína del suero de leche o Complejo de péptidos de la leche (MPC): Se trata de polipéptidos con actividad biológica obtenidos de la leche: las citoquinas o moléculas reguladoras, estabilizadas en un medio fisiológico de otros componentes funcionales de la leche: la lactoglobulina, lactoferrina, lactosa, lactatos, etc. El fibroblasto es un tipo de célula del tejido conectivo. Sintetiza el colágeno y los glucosaminoglucanos de la matriz extracelular, por lo que cuando, con la edad, disminuye su número y su actividad, disminuye también la producción de moléculas que forman la MEC. 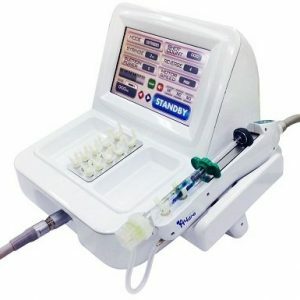 El complejo de los péptidos de la leche activa los fibroblastos a través de la señalización celular. Aportan a la piel la principal citoquina de este proceso: el factor de crecimiento y transformación, TGF-β en su forma activa. Estas citoquinas envían señales inhibidoras o estimuladoras a las células para activar la respuesta celular que da como resultado la restauración de una piel fisiológicamente equilibrada. Los péptidos del MPC actúan estimulando y aumentando la síntesis de colágeno I, el ácido hialurónico y la fibronectina, conduciendo así a una reorganización de la matriz extracelular. El resultado es la restauración de las funciones de la piel para mantenerla joven y saludable. Los aminoácidos contenidos en la proteína de suero de leche ayudan a conservar la elasticidad y firmeza de la piel. Oligopéptido-24 o CG-EDP3, una mezcla de ácido palmítico que es un gran modulador de la expresión de factores de crecimiento, como el EGF o factor de crecimiento epidérmico, ya que interactúa con su receptor y aumenta la expresión del mismo, así como la proliferación, migración y supervivencia de las células cutáneas y la expresión de los componentes de la matriz extracelular (colágeno, elastina, hialurónico). Asimismo ayuda a generar nuevas células jóvenes. Su aplicación proporciona un efecto lifting y reafirmante, a la vez que una mayor uniformidad del tono de la piel y la reducción de las cicatrices. Posee una gran acción general antienvejecimiento. También incrementa la acuaporina3 (AQP3), una proteína que se expresa principalmente en la membrana plasmática de los queratinocitos o células más abundantes de la epidermis y es mediadora del transporte de agua. 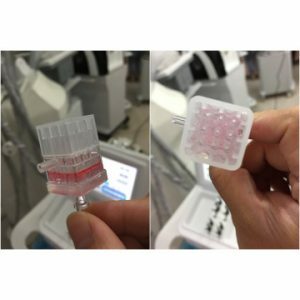 Tiene como función permitir el paso de agua y otros pequeños solutos, como el glicerol y la urea, a través de la membrana plasmática jugando un papel clave en el mantenimiento de la hidratación en la epidermis, acelerando la cicatrización de heridas cutáneas y su elasticidad. Palmitoíl tripéptido-28, mimetiza el mecanismo natural de regeneración de la matriz extracelular. Por un lado estimula la síntesis de proteínas y la producción de los inhibidores de las metaloproteinasas destructoras del colágeno de la MEC. Por otro, estimula la expresión del gen de las fibras de la MEC al unirse al receptor específico TFG-β II en la superficie celular provocando una fosforilación en cascada. Incrementa la síntesis de colágeno I y III. Además, induce la síntesis de integrinas, que son una superfamilia de glicoproteínas presentes en la superficie celular en elevadas concentraciones y que participan mayoritariamente en la unión de las células con la matriz extracelular y en la unión célula-célula. Junto al ácido hialurónico proporciona un marcado efecto Botox y preventivo de la flacidez. Palmitoíl Tripéptido-38, es un péptido mimético de las matrikinas, que son citoquinas cuyo origen es la matriz extracelular ya que derivan de la proteólisis de proteínas de la misma. Por un lado, proporcionan material estructural al estimular la síntesis de las 6 moléculas principales de la MEC: colágeno I, III y IV, fibronectina, ácido hialurónico y laminina. Estimula la matriz dérmica y la unión de la dermis y la epidermis. El resultado es un efecto lifting rejuvenecedor de la piel además de la redensificación y la disminución de la rugosidad de la piel al mejorar la unión entre la dermis y epidermis. Palmitoíl tripéptido-5, péptido que posee una secuencia de aminoácidos similar a la secuencia activadora del TSP-1, una proteína llamada trombospondina-1 que activa la forma latente pero biológicamente activa del TGF-β, que a su vez, es un elemento clave en la síntesis de colágeno. Por lo tanto, desencadena el proceso como si fuera una molécula natural del organismo, generando más colágeno. Además, el hecho de ser un péptido con una secuencia de pocos aminoácidos le confiere gran poder de penetración: atraviesa la epidermis y llega hasta la dermis donde estimula la producción de colágeno y la proliferación de tejido sano. Además tiene la capacidad de evitar la entrada de toxinas al interior de las células de la piel a través de un mecanismo por el cual las elimina o las inactiva. Por ello, aporta propiedades reafirmantes e hidratantes a la piel. Acetil tetrapéptido-2, péptido que combate la flacidez estimulando elementos fundamentales como el colágeno y la elastina, además de proteínas clave como la Fibulina5 (FBLN5) y el homólogo de la lisiloxidasa 1 (LOXL1) para el ensamblaje de la elastina funcional. También, contribuye a la firmeza cutánea, al sobreexpresar los genes involucrados en la cohesión celular debido a las adhesiones focales (interfaz entre el citoesqueleto de la actina y la matriz extracelular). Así, es un potenciador de la elasticidad y la firmeza de la piel, ayuda a restaurar su integridad dado que aumenta su resistencia elástica a la tracción. DMAE (dimetiletanolamina), sustancia capaz de aumentar la concentración de acetilcolina, el neurotransmisor responsable de la contracción muscular y por ende, del tono muscular y cuyos niveles descienden con la edad. Este principio activo, actúa sobre las fibras musculares volviéndolas más firmes y tonificadas. Presenta una acción antiflacidez y un efecto lifting inmediato. Asimismo, el DMAE, es un potente antioxidante que elimina los radicales libres que se producen en las células de la piel perjudiciales a nivel molecular, de modo que es uno de los componentes que lucha activamente contra los signos del envejecimiento prematuro de la piel. Silicio orgánico, es una molécula compleja denominada metilsilanol-manuronato, que al entrar en contacto con la piel se separa en dos partes y el silicio queda libre para ejercer su acción. Reestructura la dermis, ya que forma parte de la estructura del tejido conjuntivo, de tal forma que se introduce en las pequeñas depresiones que se producen en la piel (arrugas, cicatrices, estrías) rellenándolas. El colágeno y ácido hialurónico, son otros de los componentes de este producto. El colágeno es una proteína fibrosa que se encuentra en las fibras de la piel, tendones, huesos, cartílago y otros tejidos conectivos. Mejora la elasticidad de la piel, reduce arrugas y líneas finas de la piel. El ácido hialurónico es un tipo de polisacárido que se encuentra en la dermis, es decir en las capas profundas de la piel. Se distribuye a través de los tejidos conectivos y epiteliales. La función principal es la regulación y la reparación del crecimiento celular que revierte en una acción de relleno e hidratante de la piel. Las vitaminas, minerales, aminoácidos y los demás componentes del preparado actúan de forma complementaria ayudando a la acción global revitalizante y antienvejecimiento del preparado. Tratamiento blanqueante que atenúa la pigmentación en cara y/o cuerpo actuando sobre todas las fases de creación de melanina. Aplicar sobre la piel limpia y seca de la cara y/o cuerpo masajear ligeramente hasta su completa absorción.